No one argues that the American addiction treatment system is anywhere near optimal -- even its cheerleaders recognize that there's miles to go before all people with addiction have access to respectful, ethical, effective and evidence-based care. Worse, the past year has seen myriad media exposes and financial, sexual and maltreatment scandals. Of course, done right, addiction treatment can transform lives, with a hugely positive impact on society. It is often the difference between life and death, or between a productive recovery and a life of despair. Yet all too often that opportunity is being blown. So what is the best way forward? And what are the biggest steps the industry itself can take to improve? "What we simply need is a nice bulldozer, so that we could level the entire industry and start from scratch," says Dr. Mark Willenbring, former director of treatment and recovery research at the National Institute on Alcohol Abuse and Alcoholism and the founder of Alltyr, a center in St. Paul, Minnesota offering evidence-based alternatives to the mainstream model. "Another approach is that you could use dynamite," he deadpans. But he's serious about the need for radical change. "There's no such thing as an evidence-based rehab," he says. "That's because no matter what you do, the whole concept of rehab is flawed and unsupported by evidence." Unsurprisingly, Marvin Ventrell, executive director of the National Association of Addiction Treatment Providers (NAATP), an organization that has represented rehabs like Hazelden and the Betty Ford Center (now merged) since 1978, doesn't see the need for such an extreme makeover. However, even he says that the industry is at a "crossroads," and "we have bad actors out there." He adds, "If our procedures for self-policing and transparency aren't improved, the industry is going to be seriously harmed." I have covered addiction as a journalist for nearly three decades, and also have my own history of heroin and cocaine addiction, and of receiving treatment. With the input of longtime leaders in and critics of the field, here are my views on what needs to change. In no other mainstream medical or psychological specialty are patients told that the best treatment for their disease is surrender to a higher power, confession and prayer -- and, often, that if they don't accept this method, the only alternative is "jails, institutions or death." And in no other area of medicine do insurers pay for hours of group "therapy," films and lectures that consist overwhelmingly of indoctrination into the teachings of a self-help group, available for free in church basements. As I see it, this is not only a violation of the Eighth Tradition of Alcoholics Anonymous -- which says that members should not be paid for their "usual 12th-step work" of helping other alcoholics and addicts get the program -- but also a tremendous waste of scarce resources. Ventrell disagrees, saying that "psychosocial care is not severable from 12-step care" and that 12-step rehabs like Hazelden provide a good model for treatment. But Willenbring argues, "We used to treat breast cancer with prayer, too. We don't that do anymore." He favors keeping 12-step programs and treatment separate. We're far from that, however. Currently, at least 80 percent of American inpatient and outpatient drug-free rehab is dominated by the goal of getting patients to accept the ideology of 12-step programs and to attend as aftercare. To my mind, while 12-step programs do help some people, there is absolutely no reason that taxpayers or insurers should pay for the exact same social support and information that can be had for nothing at meetings. "In no other mainstream medical or psychological specialty are patients told that the best treatment for their disease is surrender to a higher power, confession and prayer." Instead, treatment providers need to cull from their programs the elements that are redundant with 12-step groups -- and instead offer evidence-based therapies like cognitive behavioral therapy and motivational enhancement therapy. Patients don't have the option of getting these for free outside of formal treatment -- and the role of treatment should be provide professional medical and psychological care, not self-help. Removing 12-step ideology from treatment will also allow for easier integration of medication and whatever new approaches research shows over time to be helpful. In any other area of medicine, if patients were not informed about a treatment that cuts mortality by at least half -- while being given one that has no effect on it -- it would be considered malpractice. And if there were a federal law that limited access to such treatment and said that doctors could only treat a limited number of patients... Well, there probably wouldn't be one. But in the addictions field -- largely because the dominant abstinence-only model historically hasn't recognized medication-assisted treatment (MAT) as an acceptable form of recovery -- this happens almost every time someone with an opioid addiction enters an abstinence-only 28-day rehab, a detox or an abstinence-based outpatient program. As National Institute of Drug Abuse director Nora Volkow put it in testimony to Congress last year, for opioids, "treatment programs with an abstinence focus generally do not facilitate patients' long-term, stable recovery." Research shows that people who stay on methadone or buprenorphine long term have half the death rate of those who detox from these medications or participate in abstinence-only treatment. (There is no similar data for antagonist medications, including Vivitrol). Given this, stigmatizing maintenance or telling patients that it is "not really recovery," is basically killing people. As is the federal cap on the number of buprenorphine patients doctors may treat for addiction in their practice, which was imposed when the FDA approved the drug for addiction and limits most doctors to 100 patients. Since some patients may stay in treatment for decades, the slots fill up fast. 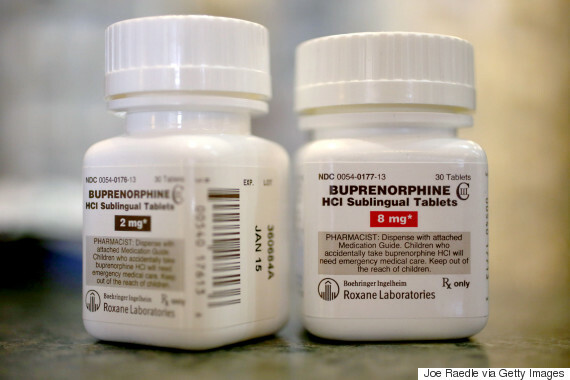 Bottles of the generic prescription pain medication Buprenorphine are seen in a pharmacy on February 4, 2014 in Boca Raton, Florida. The narcotic drug is used as an alternative to Methadone to help addicts recovering from heroin use. Jeff Deeney, a social worker at a Philadelphia treatment program, is currently faced with the problem of the cap. "We're dead stuck," he says. "We have a line four blocks long on our waiting list. We're maxed out. We're trying to hire another doctor just to walk in and write scripts." President Obama should take executive action and end this arbitrary regulation immediately. Thankfully, even many dedicated 12-step supporters have come to recognize the need for medication use. NAATP's Ventrell says that "program integration," is a critical part of improving addiction care, particularly "depolarizing" the clash between 12-step views and support for MAT. He states bluntly that if counselors or program management see it as being just another form of active addiction, "They're not providing good care." Willenbring puts it even more strongly. "I think there needs to be a lawsuit against a prominent rehab for wrongful death and deprivation of informed consent and negligence," he says, referring to cases where patients have overdosed immediately upon leaving and were not told that maintenance would reduce their mortality risk. In the past year, the addiction treatment industry -- never trouble-free in the best of times -- has been wracked by scandal. A New York Times front-page exposé revealed sickening conditions, kickbacks and even forcing addicts to relapse to stay housed in supposed "3/4 houses" in the city. The Huffington Post (disclosure: I'm interviewed) published an in-depth investigation of how people with addiction in Kentucky are mistreated and denied access to MAT. Buzzfeed investigated overdose deaths, kickbacks and overcharging for urine testing in Delray Beach, Florida "sober living" homes, which were also the subject of 2014 FBI and IRS investigations. The Los Angeles Times revealed that the owner of a network of LA rehabs was being investigated by the state and the FBI, for, among other things, sexual relationships with patients, poor care and fraud. And that wasn't all. Longtime industry leader and Beyoncé-favorite Phoenix House was also investigated by Reuters for a patient death, for running facilities led by abusive staff and filled with drug use, assault and sexual violence, and for financial mismanagement. Clearly, change is needed. Even the industry group, NAATP, wants federal regulation to ban practices like "patient brokering," in which rehabs and sober living homes pay kickbacks for referrals to each other, without regard for whether a facility or service is appropriate for that patient. While the practice is illegal in some states, it is not against the law on the federal level. As Ventrell says, "It should be." Another common ethics issue involves misuse of the internet, with some rogue programs actually hijacking web traffic from other sites and transferring phone calls to their own agents. "Some horrible abuses have gone on there," Ventrell says, noting that the only thing his organization can currently do about it is expel members if they are found to engage in such practices. The great harm reductionist Alan Marlatt (RIP) frequently used an analogy that compared the rehab industry to other customer-focused businesses. A car company, he noted, faced with declining sales and lack of consumer interest, would not complain that customers are "in denial" about the quality of their vehicles. Nor would it try to have the government arrest people who refused to buy their cars. Instead, they'd improve their offerings -- or, at the very least, their marketing and consumer outreach. But the treatment industry has for too long relied on referrals from the criminal justice system to stay solvent. 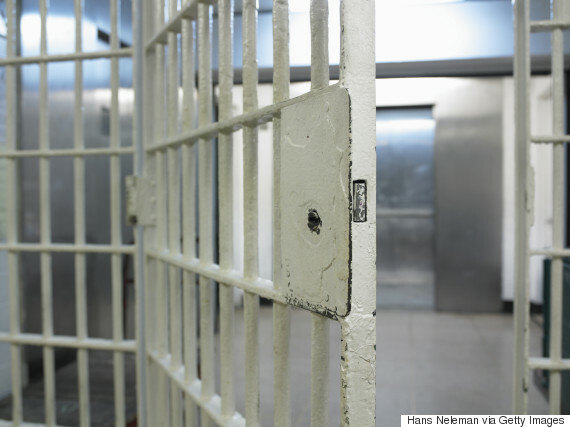 Because at least one-third of treatment slots -- and in many programs up to 80 percent -- are occupied by people whose only other alternative is prison, the industry has had little incentive to make itself warm and welcoming. Instead, it has frequently counseled relatives to practice "tough love" and stage "interventions," where if the addicted person doesn't immediately go to rehab, he will lose friends, family and possibly employment. Several problems result. For one, since their biggest customer is often the criminal justice system, many programs shape themselves to its dictates. "The field has been so distorted by its dependence on the criminal justice system, which is really the client," Willenbring says, contrasting it to other forms of medical care which have to work to attract patients. Since the criminal justice system is supposed to punish offenders, this leads to support for controlling, punitive and shaming practices in treatment, which are counterproductive. "The treatment industry has for too long relied on referrals from the criminal justice system to stay solvent." This is problematic not only for people mandated to treatment, but for everyone else. Because research shows that empathy and rapport between clients and counselors is the best predictor of positive outcomes, a treatment center that is cold and punitive will be less effective on that basis alone. Secondly, if a large proportion of the people in a treatment center have been forced to be there and only grudgingly participate, this can interfere with its ability to create a "safe space" for others. It's hard to open up and be vulnerable while sharing deeply personal experiences of trauma when other patients are laughing or staring stonily at the clock. It's been known for decades -- as I showed in-depth in my 2006 book, Help At Any Cost: How The Troubled-Teen Industry Cons Parents and Hurts Kids -- that confrontational and humiliating "attack therapies" are ineffective and often harmful. Unfortunately, nearly all long-term residential treatment centers in America -- i.e., "therapeutic community" programs that last three months or longer -- were originally modeled on a destructive cult called Synanon. Most famous for placing a poisonous snake in the mailbox of an attorney who opposed it, Synanon was founded by an AA member who believed that the steps needed to be applied by force and that people with addiction needed to be broken down completely before they could recover. Phoenix House, Daytop and Delancey Street were all directly modeled on Synanon -- and any program that uses "marathon" therapy groups, "pull ups" (confrontations), makes patients wear degrading signs or outfits and has a hierarchy of positions through which patients rise towards graduation has its roots in Synanon, either directly or indirectly, through staff training. And unfortunately, these methods are also favored by some staff at 28-day rehab programs or intensive outpatient treatments. While many have moved away from the most extreme tactics, a widespread belief that all people with addiction are lying "whenever their lips are moving" and a sense that negative experience is necessary to get people to realize that they need to change remains common. This is a barrier to successful treatment, because, as William White and William Miller show in this devastating 2007 paper, no study has ever found this approach to be better than kinder alternatives. More confrontation tends to lead to more drinking and drug use, not less. If we want better treatment, the industry must treat clients with respect and dignity, and stop taking an attitude that the rest of medicine abandoned as harmful decades ago. Research has long shown that in most cases, outpatient treatment is as effective as inpatient care for alcoholism and other addictions. Moreover, as noted earlier, when the substance involved is opioids, outpatient maintenance with methadone or buprenorphine cuts the death rate by at least half compared to residential or outpatient abstinence treatment. 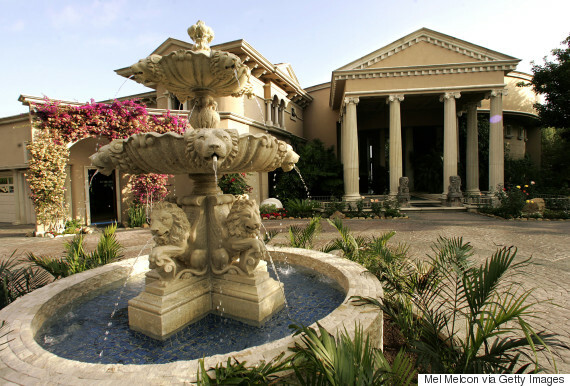 Front entrance to the main house at Passages Addiction Cure Center in Malibu. Many people believe that since celebrities go to exclusive spa-like rehabs, this is the most effective type of addiction care. But the data doesn't support this. "Staying overnight together confers no outcomes advantage," Willenbring says, adding that research on learning shows that people do not transfer skills acquired in an isolated setting back to their daily lives where they are most needed. "Many people believe that since celebrities go to exclusive spa-like rehabs, this is the most effective type of addiction care." "You cannot learn recovery skills in rehab," he says. "The work doesn't start till you get home." Given that -- and the expense of inpatient treatment -- it makes sense to limit inpatient care to the shortest possible period necessary for medical stabilization. People also do better at recovering from all types of illness when they are surrounded by their loved ones and can sleep in their own beds. Of course, for people who live with drug dealers and are in a social setting in which they have no friends or relatives who aren't also drug buddies, a change of locale could well be beneficial. But that doesn't mean that living in a treatment program that costs thousands of dollars a day for a month or longer is the best way to accomplish this. Since I write regularly about abusive treatment programs -- I'm talking places where beating, sleep-depriving, sexually humiliating and starving patients are seen as acceptable -- I've had some experience with patients who have legitimate complaints. This is where program accreditors like the Joint Commission and CARF are supposed to come in. Being accredited by at least one of these organizations is supposed to be a sign that the program provides high quality treatment and treats patients with dignity and respect. Unfortunately, one of the most abusive programs I ever wrote about--Straight Incorporated-- was accredited by the Joint Commission at several of its sites. And as late as 2007, a copycat program was accredited by CARF. At that time, it was extremely difficult for patients to navigate their websites even to figure out how to make a complaint -- I'm happy to say that at least in terms of accessibility, that has changed and both groups now have easily located complaint forms. Still, even now, at least one program that was the subject of a major media expose involving serious patient safety and maltreatment problems last year remains accredited. Further, in order to complain, consumers need to know which of these groups has accredited the program -- and the accreditation process is still paid for and guided by the programs. Basically, this means that rehabs know in advance when they will be inspected for accreditation and that accreditors are financially dependent on the programs they are evaluating. "None of these eight changes are easy to make, and there are substantial institutional and ideological barriers to many of them." To me, this is a real conflict of interest. Given the fact that state treatment regulation is often lax and there are no federal standards even for basic things like counselor education, accreditation may be the only serious oversight some programs get. We need to make accreditors independent (or at least, less dependent) and ensure that consumer complaints about unsafe or harmful practices are easy to make and are taken seriously. We also need national standards for counselor education, for best practices in all types of treatment and for informed consent regarding options like medication. All counselors need to be educated about all aspects of addiction, not just their own recovery -- and especially, about mental illness and what they are and are not equipped to treat without medical supervision. We should create scholarships to ensure that people in recovery can get the education they need to qualify and create staff positions that allow for various levels of education -- but we should not have lower standards for addiction care than for other specialties. It's completely outrageous that it took 27 years for the federal government to finally end its ban on funding needle exchange programs, which happened last December. Even when the ban was first passed in 1988, it was already clear from European data that the programs worked. It took an HIV outbreak in Indiana that infected 175 people last year to finally wake recalcitrant Republicans up. But expanding needle exchange to where it is needed across the country is not enough. We also need to start providing safe injection facilities (like this one in Canada, which cut local overdose rates by 35 percent) make naloxone as accessible as possible (including to opioid addicted people leaving abstinence programs and incarceration) and integrate harm reduction ideas into the treatment system so that people who are not ready for abstinence have options other than simply continuing without medical care. Of course, none of these eight changes are easy to make, and there are substantial institutional and ideological barriers to many of them. But even just one -- done thoroughly -- could have an enormous impact on the quality of addiction care in America. And if all of them were made, the system would be transformed -- with or without a bulldozer. Cross-posted from The Influence. Follow them on Facebook here.